Last week I received an e-mail asking me if I had a boy (or boys) who would be interested in trying out the new Switch & Go Dinos. Of course, I told them yes! 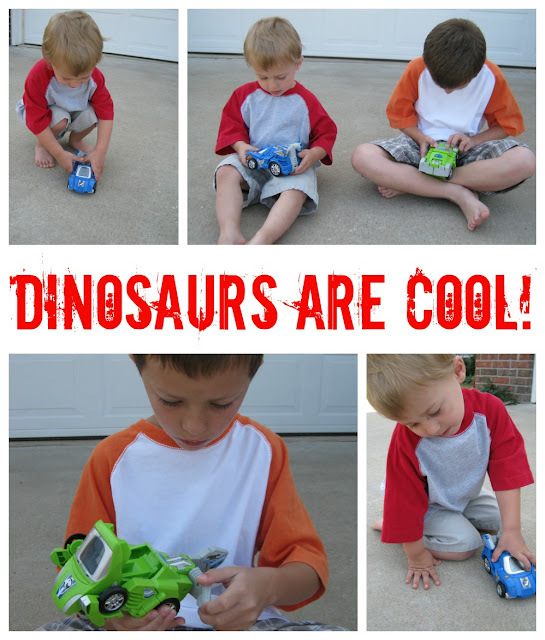 I have 2 boys (who both LOVE dinosaurs and cars!!) that would be very interested in trying them out! My boys were sooooo excited when I told them that a special package was coming just for them. For the next 2 days they were constantly checking the mail & the front steps for a package from VTech. When the package arrived they couldn't wait to take their new toys on a spin! 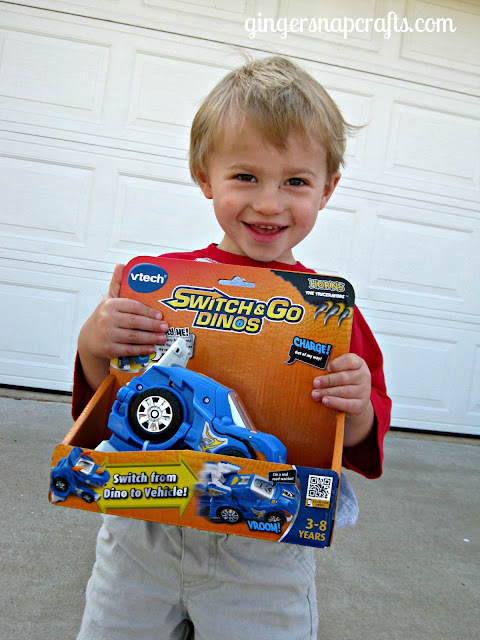 My older son loved how the product easily turned into two awesome toys ~ a dinosaur & a car. My youngest LOVED the cool sound effects. I loved how they are learning dinosaur facts. It is so nice when the kiddos are having fun & learning at the same time. It's a win-win! Yay! ● The Switch & Go Dinos are interactive & "come to life"! 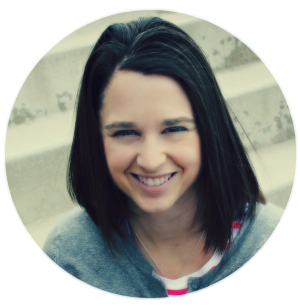 Love the car & dinosaur sounds! My youngest carried his around with him all day long! It was like he had a new friend! 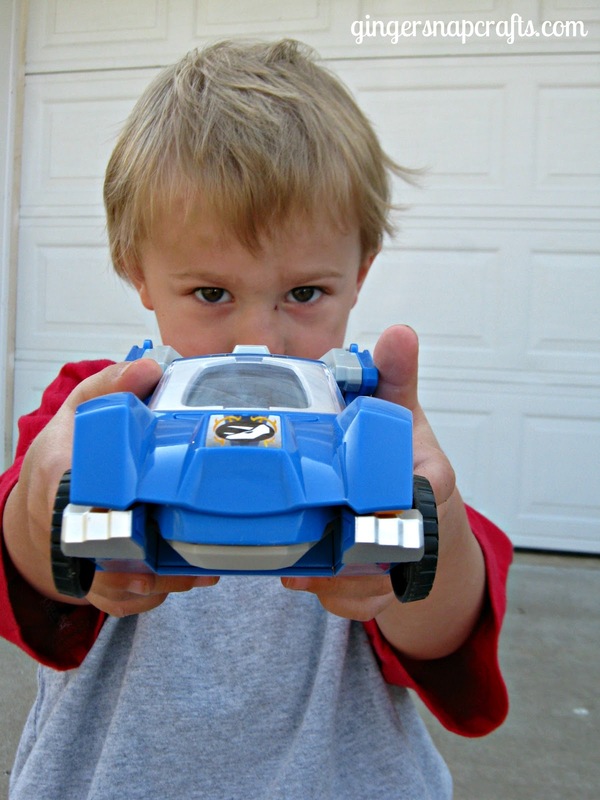 ●I love that the kids can personalize their driver for the car & the eyes when it's a dinosaur. How cool is that? ● I really love that when it is in dinosaur mode it says up to 30 interesting dinosaur facts. Yep...they are learning a lot as they play & have fun! 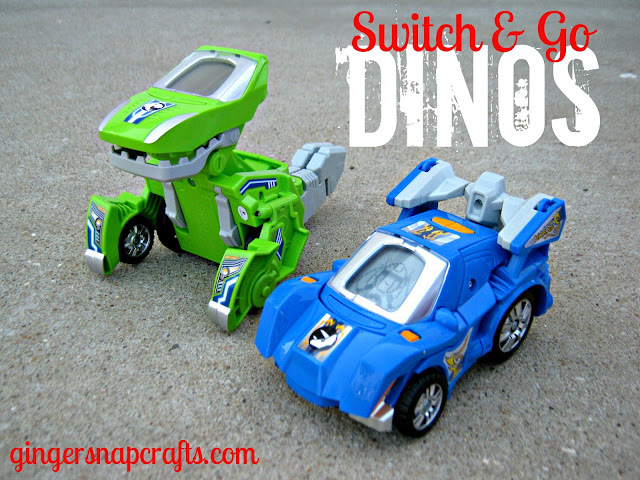 What do YOU think of the Switch & Go Dinos? 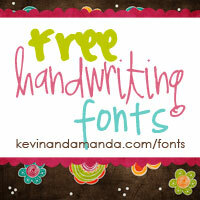 It this is your first time visiting I'd love to keep in touch!